One of the highlights of our Dwight life was my older son’s performance at the school production, Seussical. LeRuof’s biggest supporters (aside from his cheering MOM, of course) were, who else but, his Dad and brother. His friend even had a sleepover in the house right after the performance. And the best part was when he said that he also wants to be in the school production next year! That’s one big impact on his friend who is one of the best and dependable soccer players at school. Wonder why they click? hahaha! My second son, who was seated with his Dad and two first-grader classmates simply enjoyed the night watching the play and was diligently checking the programme souvenir for the songs and the performances. 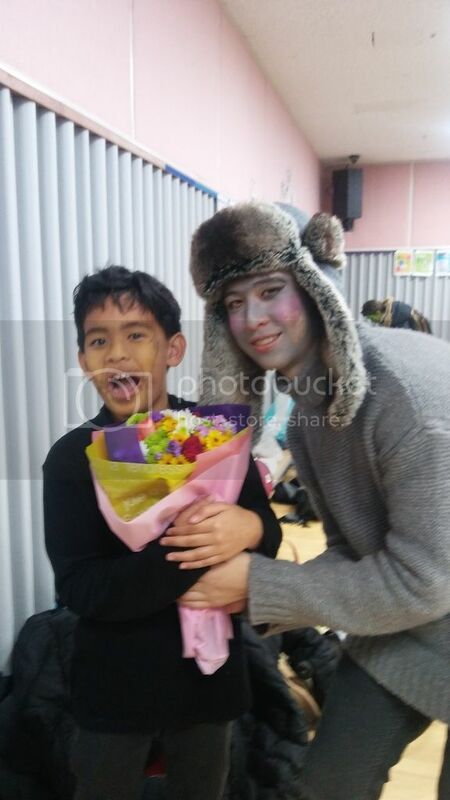 He was remarkably patient before the performance while I was doing my PA (Parents’ Association) duties and helping with the Wickersham Brothers make-up. He had been disinterested in stage performances and I had always been telling him every after stage performances “to be more active on stage”, “look more enthusiastic”, “don’t be too shy“…. you know, the works! Typical of a stage mom, hahaha! Since I started to back off with regards to his school affairs (don’t look at me, being Secretary of the Parents’ Association isn’t meddling with his school affairs <wink>), I didn’t think about asking him to be part of the school’s major production. But people do come into our lives to inspire us to do things. Back when Leruof entered first grade, his then Homeroom Teacher saw his writing potential and focused on that “spark of genius” (I ain’t plugging Dwight:-) – Dwight prides itself in igniting the spark of genius of every child) constantly praising and giving him feedback until she saw how he got his “own voice in his writings“. To this day, he carries that passion for writing – without my interference! And my son’s new Homeroom Teacher did the same magic at the beginning of this school year. I did tell her that I was surprised how my son suddenly got interested to join the production. She was glad she had that impact on him. So this is a shoutout to all you teachers out there! You never know when and how you can move your students to do new things. Thank you! Oh, you never can tell how feverish LeRuof was the whole day before the performance. I had to bring him to school late so we can get into the clinic first for immediate medication. Some teachers who were part of the production got worried about his health especially when he didn’t show any improvement even during the cast make-up time. His mood perked up when his Dad arrived and… he delivered! This is soooo cute! Well done to your son for his role in the school musical. I love the arts and I think it’s so important to encourage creativity in kids from a young age. His school sounds amazing and it’s great to read about the positive impact that teachers can have on children. Thanks so much for sharing, you must be so proud! WOW! So cool to see young kids really get involved and passionate about something. You must be so proud! I do agree that certain people become part of our lives to light a spark in us. I think you’re exactly right about teachers too…they can have a huge influence on students. Awesome stuff! 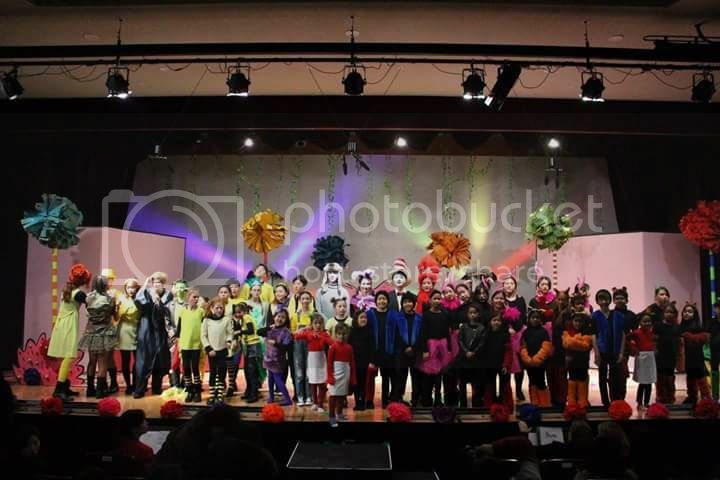 Seussical was my first musical in high school! Bringing me back to my younger years! Hahaha, I feel like every Filipino parent is somewhat of a “stage” parent (my dad was mine :P) but I love that his teacher inspired him to pursue this experience all on his own accord! The shout-out is definitely appreciate by the teacher demographic of your blog audience 🙂 Congratulations LeRuof! Oh well, I can relate to your dad:-)… What was your role in the musical? Exciting time for you, right? I’m glad to see your kid’s teacher care and influence him in and out of school. It isn’t easy to find those types of teachers, but I suppose it help while attending such a prestigious school. Your kids are so talented with their various interests and hobbies and good for you to be a supportive but not too pushy of a mom. I’m sure they respect and appreciate your efforts. Absolutely fantastic! Kudos to the supportive teachers and parents too! My niece and nephew aren’t quite old enough for school productions yet, but I’ll be the doting auntie in the audience, cheering them on 🙂 Super big congrats to your son!! Congratulations on your son’s theatrical debut 😉 I used to do a lot of theatre growing up and though I never made a career of performing, it definitely teaches you some useful skills for life. 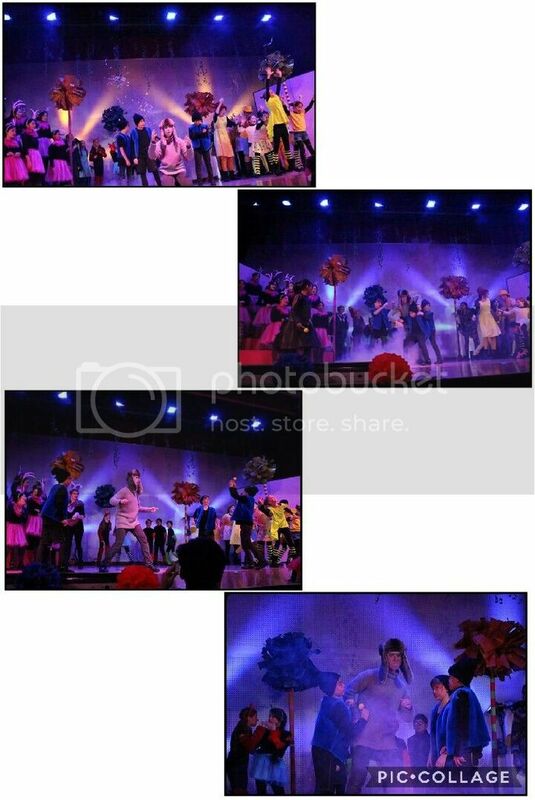 Seussical is a great play and it looks like everyone had fun! thanks, Odessa. Yes, the cast had fun and it was nice watching them. I’m also glad that my son had a good time doing it.